Join the artist and curators for a private preview of “Rosemarie Trockel: A Cosmos” before it opens to the public on October 24. The Museum’s presentation of “Rosemarie Trockel: A Cosmos” has been organized by Massimiliano Gioni, Associate Director and Director of Exhibitions, and Jenny Moore, Associate Curator, in collaboration with Rosemarie Trockel and Lynne Cooke, chief curator of the Museo Nacional Centro de Arte Reina Sofía, Madrid, Spain. Not a Member? Join now to attend! “Rosemarie Trockel: A Cosmos” has been curated by Lynne Cooke, former Deputy Director and Chief Curator, Museo Centro de Arte Reina Sofía, in collaboration with Rosemarie Trockel. The New Museum’s presentation has been organized in conjunction with the artist and curator by Massimiliano Gioni, Associate Director and Director of Exhibitions, and Jenny Moore, Associate Curator. The exhibition is accompanied by a 217-page catalogue, produced by Museo Centro de Arte Reina Sofía and published by the Monacelli Press, featuring essays by Lynne Cooke, Dore Ashton, Suzanne Hudson, and Anne Wagner. After its presentation at the New Museum, the exhibition will travel to the Serpentine Gallery, London. The exhibition was first on view at Museo Nacional Centro de Arte Reina Sofía from May 23–September 24, 2012. This exhibition is organized by the Museo Nacional Centro de Arte Reina Sofía in collaboration with the New Museum. The exhibition is made possible by the generous support of the LUMA Foundation and Ellen and Michael Ringier. Additional support is provided by Lisa A. Schiff, Åke and Caisa Skeppner, and the Consulate General of the Federal Republic of Germany in New York. The accompanying exhibition publication is made possible by the Barbara Lee Family Foundation and the J. McSweeney and G. Mills Publications Fund at the New Museum. 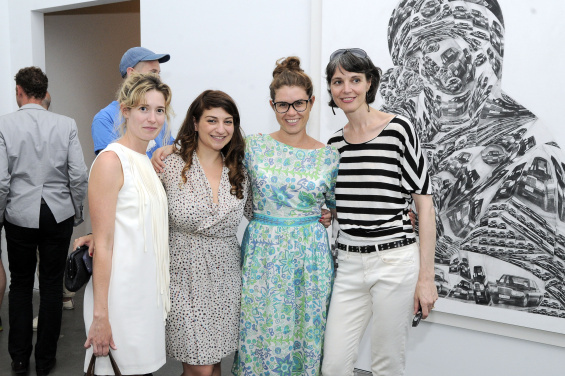 Special thanks to Sprüth Magers and Gladstone Gallery.